What is a Personal Bible Study? A small group study of the Scriptures aimed to help a seeker find saving faith in Jesus Christ. Interested? We's love to help! Contact us here. 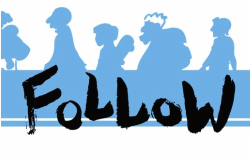 ​We use a resource called Follow​ to help people who are seeking God. You can download the book below or get a copy from a KVC member!